There are a lot of comic characters that have been around for several decades. And most of them could never have survived the changing times without being slightly updated throughout the years by great writers. I feel it is time that the characters and the writers that helped them to stay relevant through the changing times get the praise they deserve. I have been a huge fan of Thor for most of my time reading comics. I have read some good, some bad, and some I wish I could wipe from my memory permanently. But these two runs are truly great. Both Simonson and Straczynski found different ways to make the character relevant in their particular era of comics. Simonson took over Thor in 1983. He first came on to the book as the artist, but after only three issues he then took over on both art and writing duties. 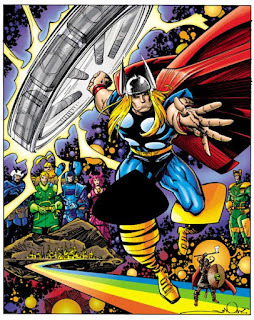 Eventually Simonson handed over the art duties to other artists like Sal Buscema, but he would continue to write Thor until 1987. 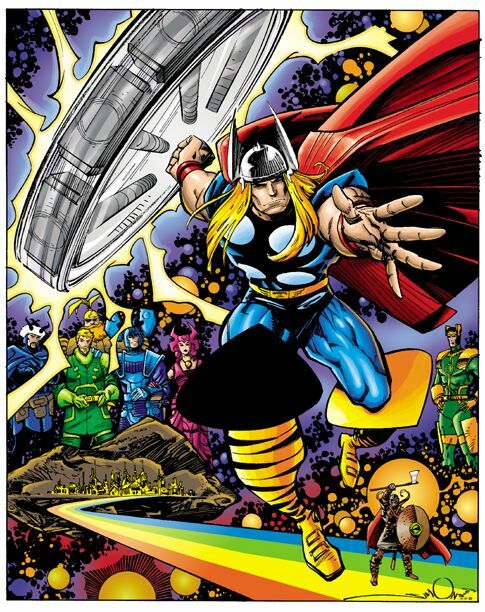 His run on Thor introduced several major characters that are now mainstays to the Asgardian universe, such as Frog Thor and Beta Ray Bill. But the character that Simonson introduced that has the most effect on the current Marvel comics and even the MCU to a smaller extent is Malekith the Accursed. 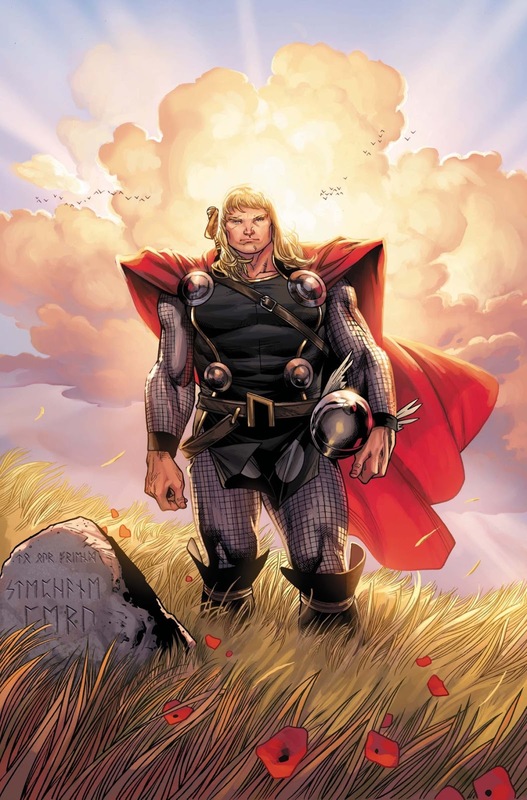 A character who has had appearances in the current run of Thor by Jason Aaron and even a small arc of the pre-All New Marvel Now Iron Man series. When Straczynski took over Civil War was almost over and Thor had been missing for a couple of years. But Straczynski brings Thor back from the void and returns Donald Blake to the Marvel Universe. At the beginning of his run Straczynski has Thor learn that even though Asgard was destroyed and all of the Asgardians were killed, Odin placed their souls into mortal bodies much like his connection to Blake. This run also introduces Asgard as a city floating over Broxton, Oklahoma. Straczynski’s run only lasted for 16 issues, but in those issues he made Thor into a great character again. And his time on Thor set the stage for some really good stories from other writers. In 2004 Brubaker took over on Captain America. And quickly established that he was going to reinvent Steve Rogers as strong character with convictions that he refuses to be bent or broken. But Cap wasn’t the only character that he made a new image for. Brubaker made the Bucky/Cap dynamic all his own by making Bucky the member of the duo who was willing to kill so that Steve could keep his hands clean. 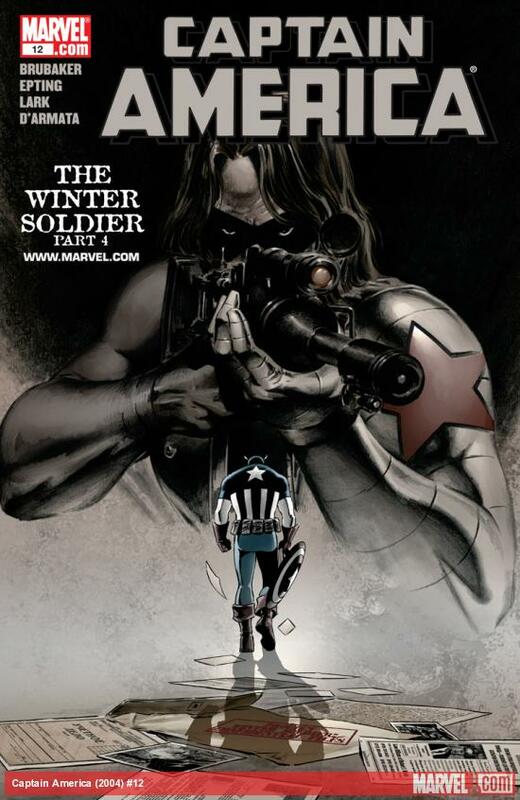 Brubaker is also the reason the Winter Soldier exists. See the reason Bucky was chosen to become Winter Soldier after his “death” was because he was trained to be an assassin from an early age. The real beauty in this run though is that Brubaker also made the character of Bucky a much better character. 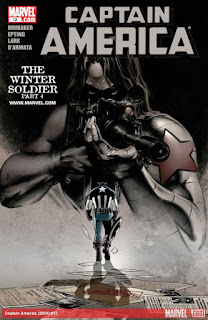 When Steve Rogers died in Civil War Brubaker had the fortunate honor of getting to write Bucky stepping up to take the mantle of Captain America. I haven’t read much of the series with Bucky donning the Shield, but I have heard that when Bucky takes over is when Brubaker really shines. But I can say that from the little I have read. I would have been okay if Steve Rogers never picked up the shield again. Brubaker’s run lasted through a lot of the biggest events in the Marvel Universe. From Civil War all the way up till when Marvel relaunched all of their books with Marvel Now. In 2009 Jason Aaron took the reins of Punisher Max, a series that until that point was being written by Garth Ennis. Ennis’ run is of course legendary, but I feel that what Aaron does is the better run. Because with Aaron stepping up it took on the direction of an aged Punisher. Frank Castle is losing his edge, so he decides it is time to bring down what is left of the mob before he calls it quits. But on the mob side of the story you have a top level enforcer who has the perfect plan to lure Castle in so they can permanently remove that particular thorn from their paw. His plan put all funding in control under a single man who is only a figurehead for the whole plot. That enforcer’s name is Wilson Fisk. The problem is, Fisk gets the money and control then betrays the other families and keeps all that comes with it. Thus setting up a great story of two men on opposite sides of the same battlefield who are racing towards the inevitable bloody confrontation like freight trains. Then you throw in the most deranged version of Bullseye that I have ever read and you’ve got a lot of really great stories. But Jason Aaron’s run on Punisher Max also really pulled on every emotion at one point or another. 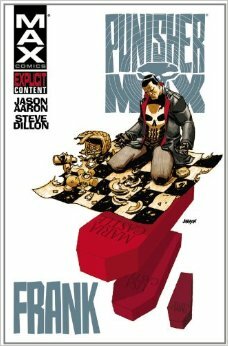 For example in the third arc of the series called “Frank”, Jason Aaron explores Frank Castle’s life after he returns from Vietnam till the day his family died and made him the man he is today. All together this is one of the best Punisher runs I have read. In 2011 Marvel relaunched Journey Into Mystery with the writing talents of Kieron Gillen and an amazing stable of artists. The book focused on the adventures of Kid Loki and his quest to redeem himself from the sins of his previous incarnation. As the series began Fear Itself was just starting and Loki was working behind the scenes of the main story. It was by far the best part of Fear Itself, and in the end actually made even the main arc of the event way better. Loki’s backroom dealings during Fear Itself had major repercussions on the rest of the series as well as Matt Fraction’s run on Mighty Thor that was going on at the same time. Throughout Gillen’s time on Journey Into Mystery he introduced Leah, a teenage version of Hela. And Thori, who is a hellhound pup with a very violent temperament and serious rage issues. As well as having Loki cross paths with many Thor regulars like Hela, Tyr and Surtur. But Gillen made it clear with his writing that Loki was the only star of this tale. 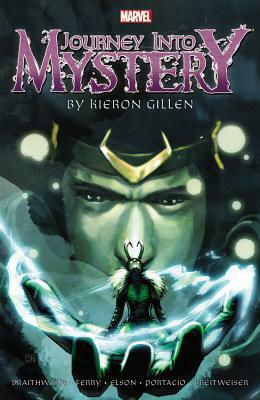 Gillen would continue to write Loki in his Young Avengers run with regular collaborator Jamie McKelvie, and it was a great continuation. But Journey Into Mystery was truly the shining moment in the saga of Loki to me. When Jeff Parker took over Thunderbolts in 2009 the team was a private hitsquad for Norman Osborn in Dark Reign and Siege. But what followed Siege was where the book finally got back on track for the first time since Kurt Busiek left the book. Following the fall of the Osborn regime after the failed siege of Asgard. Steve Rogers hands over the Thunderbolts name to Luke Cage and gives him a team of criminals from the high security prison called the Raft. The deal is that the team takes missions from S.H.I.E.L.D. under Cage’s command and if they survive they earn time off of their sentences. Sure it is a borrowed premise from DC’s Suicide Squad, but for some reason Thunderbolt’s seemed to work a lot better with it than all of the Suicide Squad I ad read up until that point. The team was run by Luke Cage with former members of the founding team Mach V and Songbird as team leaders in the field. The rest of the team was made up of Juggernaut, Ghost, Satanna, Crossbones, veterans of the team Moonstone and Fixer, and then Man-Thing who was their mode of transportation. The team took part in trying to take down Daredevil in Shadowland. And at the conclusion a secondary team is put together and deployed under the leadership of Mach V to europe. But when Fear Itself happens and Juggernaut is possessed by an Asgardian god and Man-Thing is over run by the huge amounts of fear to the point that he needs to be destroyed. 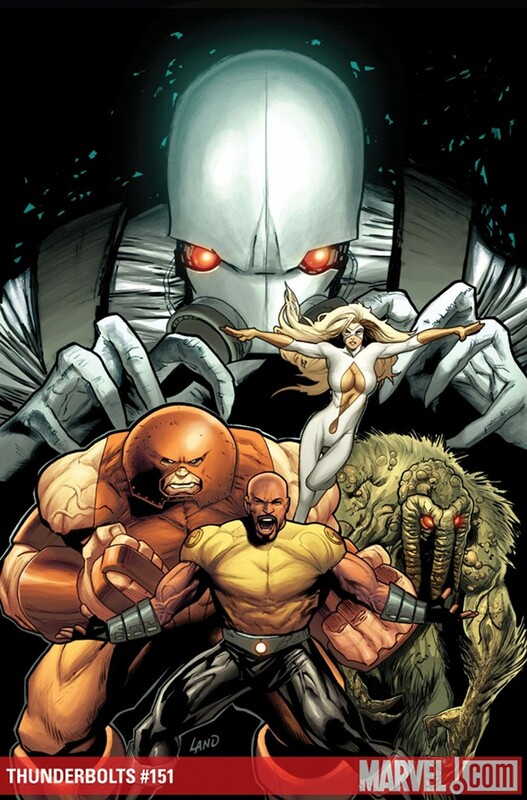 The secondary team of Mr. Hyde, Troll, Boomerang, Shocker, Satanna, and Centurius highjack the tower with the remains of Man-Thing. But the team ends up trapped in the past because Man-Thing is a little harder to control due to his recent madness. The book would later get a name change to Dark Avengers, as well as getting a new team in the present day stories. But with the name change the book lost a little of what made it great. Whether it was that Parker was being forced to use the members of the new team or just the darker feel to the book, it just never recovered to me. So when the story of the team trapped in time finally wrapped up I dropped the book. But I have gone back and read Jeff Parker’s run on Thunderbolts a couple of times and it still has all of the same fun with each time I revisited it. These are just the runs that standout to me for the ability to redefine a character or team. But there are many others that are out there. And I look forward to hearing some of the ones that standout to you guys. Thanks for reading my article. If you have any comments, questions, or suggestions for future articles. Please leave them in the comments section. And as always. Keep Reading Comic Fans!! !